Preventative and routine maintenance schedules are essential for keeping pipes, hoses and hydraulic lines in good working order – just like every tool and piece of machinery in a facility. But, even the most stringent maintenance routines won’t guarantee that leaks will never happen. When these leaks appear, they can be anything from a nuisance weep to a catastrophic failure that interrupts work processes and demands attention right now. On a good day, tightening a coupler or turning a screw fixes the problem. The mess on the floor is another issue. Good technicians and mechanics have tool kits filled with the tools of their trade. Whether it’s wrenches and pliers or hammers and duct tape – or all of the above and more – each item in that kit serves a specific purpose and saves time. Having the right types of absorbents on hand to clean up leaks and drips left behind by leaky pipes, hoses and hydraulic lines also saves time and improves safety. After you’ve stopped the source of the leak, the following absorbent tools will help get the area back to normal. Absorbent socks stop spills from spreading any farther. They’re best for leaks or spills of five or more gallons and for preventing spills from getting into aisles or sensitive areas. Just place them around the perimeter of the spilled fluids. They’ll soak up whatever comes in contact with them. After the area has been corralled with socks, slowly push each one toward the center of the puddle to soak in more liquids and limit the number of absorbent mats that you’ll need. Or, once the area is surrounded, you can also choose to vacuum or pump out the liquids for recovery, recycling or reusing instead of absorbing them. Absorbent mats are good for small leaks and drips that have stopped spreading over the floor. Mats cover a large surface area and quickly soak in liquids. They can also be used to wipe down machinery, tools or other areas after the leak or drip has been cleaned up. Technicians and mechanics also like to use them as a floor covering when they have to crawl under machinery or equipment to make repairs. Loose absorbents can be poured on the floor around leaks to create a dike as well as over the surface of a leak to absorb it. Loose absorbents are also a good choice for getting into small or tight areas that are hard to reach with socks or mats. If loose absorbents are used, be sure to keep dust pans and brooms handy so that the absorbents can be cleaned up immediately after use. When you can’t stop the source of the leak right now, absorbents can still lend a hand. Absorbent mats or drip pans can be placed under a leak or drip to absorb it and keep it off the floor until repairs can be made or replacement parts arrive. Pipe and hose failures are sometimes unpredictable and can create chaos in busy facilities. Providing absorbents to contain and absorb leaks and drips will help to minimize the amount of time spent cleaning up after repairs are made so that you can get back to business. Karen D. Hamel CSP, CET, WACH, is a regulatory compliance professional, trainer and technical writer for New Pig. She has more than 25 years of experience helping EHS professionals find solutions to meet EPA, OSHA and DOT regulations and has had more than 200 articles published on a variety of EHS topics. Karen is a Certified Safety Professional (CSP), Certified Environmental health and Safety Trainer (CET), Walkway Auditor Certificate Holder (WACH), OSHA-Authorized Outreach Trainer for General Industry, Community Emergency Response Team (CERT) trainer and hazmat technician. She serves on the Blair County, PA LEPC. Her specialties include a wide variety of environmental, safety, emergency response, risk management, DOT and NIMS topics. She conducts trainings and seminars at national conferences and webinars for several national organizations. She can be reached at 1-800-HOT-HOGS (468-4647) or by email karenea@newpig.com. There are so many choices of absorbents, it can seem a bit intimidating to pick a single one that’s best for your application. This post helps simplify the process. Learn how to catch leaks and drips in high-traffic areas and prevent slip, trip and fall injuries. Contact us, and we'll jump right on it. Most questions are answered the same day. Submit a topic, and we'll let you know when your post is ready. 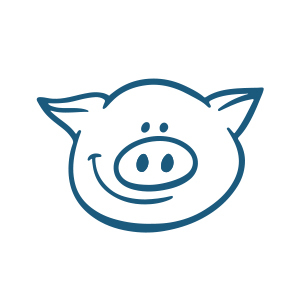 New Pig is the world’s leading resource for what a clean, safe and productive workplace can be. We’ve mastered the ins-and-outs of regulations and liquid management — and we can help you with the information, best practices and practical solutions you need.